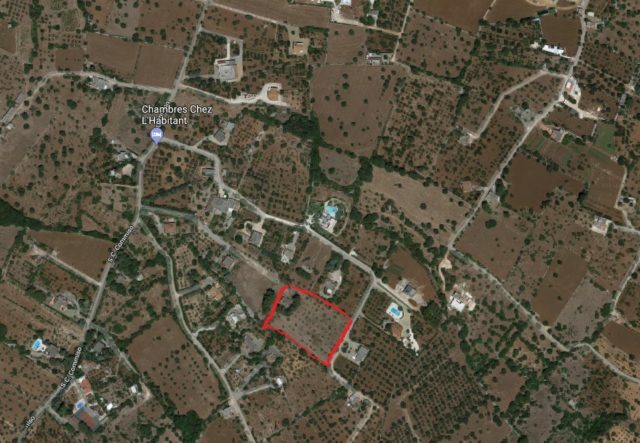 The property is located in Polignano a Mare (BA) in S.C. Commiso, few km from Polignano a Mare, the Torre Canne beach area and the Brindisi airport. 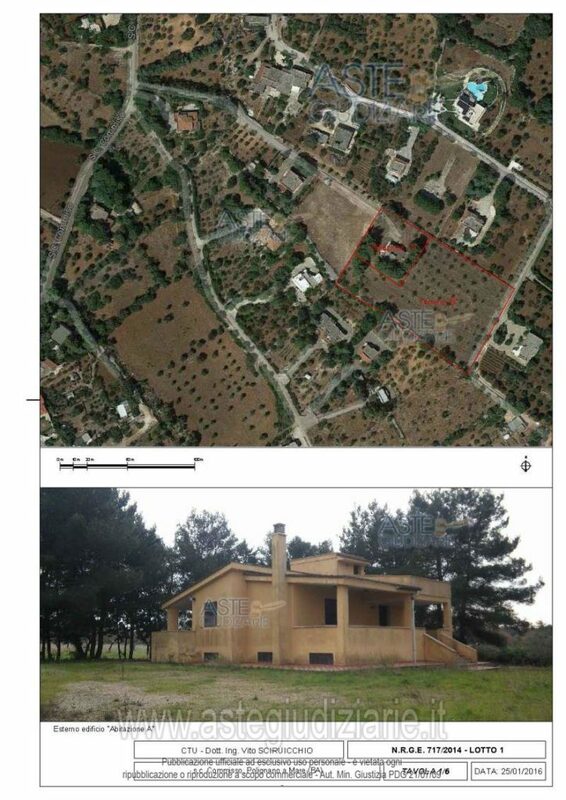 The sale is made by the house and the 6400 sqm plot. The access to the area through a dirt road from S.C. Commiso. The house, on two storey, has got a net surface of 120 sqm. The ground floor has been divided in two sides: on one side the “day” area, with kitchen and sitting room, on the other side, the “night” area with en-suite bedrooms. In basement floor other bedrooms with bathroom. The villa is connected to mains water and electricity, sewage in working condition although extremely old. The area has good mobile phone reception for telephone and 3G internet. Renewable energy sources such as solar panels can be available on request. Ownership Details: The property is being sold by auction. Viewing can be arranged approximately up to 1 week prior to the auction in order to prepare the necessary documents. L&G Properties Srls will refurbish the villa using local craftsmen and will issue the regular sureties when receiving each payment. Polignano a Mare is a town and comune in the Metropolitan City of Bari, Apulia, southern Italy, located on the Adriatic Sea. The local economy mostly depends on tourism, agriculture and fishing. Located in the south-eastern corner of its province, near the borders with the one of Brindisi, and by the Adriatic Coast, Polignano a Mare borders with the municipalities of Alberobello, Castellana Grotte, Fasano (BR) and Monopoli.The town is 15 km from Fasano, 33 from Martina Franca, 44 from Bari, 64 from Taranto and 75 from Brindisi. – Castle of Charles V. Finished in 1525, it has a pentagonal plan. It is located on a promontory which was originally separated from the medieval city. It was restored and enlarged in the 17th century. Starting from the early 19th century, it was used as a jail, a status it kept until 1969. It is currently the seat of art exhibition and cultural events. – Coastal castle of St. Stephen, built by the Norman lord Godfrey of Conversano in 1086. It was subsequently turned into a Benedictine monastery. – Monte San Nicola (Mount St.Nicholas) faunal reserve. The reserve, lying on the summit of hill, 290 metres (950 ft) high in the Murge plateau, is important for the presence of some endemic plants.